Free time to visit Monet’s house and the “Nympheas” studio and lunch break. Early years – Claude Monet was born in Paris on November 14, 1840 in the 9th arrondissement. His father, Claude – Auguste, had a modest grocery store. At the age of five, his family moved to Le Havre, Normandy. His father wanted Claude to continue his family business, but he wanted to paint. It was her aunt Marie-Jeanne Lecadre who supported him following his artistic career. In 1851, Monet entered the secondary school of arts and ended up becoming known in the city by the cartoons that did. 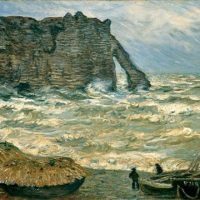 On the beaches of Normandy, around 1856, Monet met Eugène Boudin, an artist who worked extensively with outdoor painting on these same beaches, and who taught him some outdoor techniques. On January 24, 1854, his mother died and, at age 16, Monet left school and went to live with his aunt Marie-Jeanne Lecadre. In 1857 Monet went to Paris to study painting, and there he met his first wife, Camilla. Monet often portrayed her in paintings where she appeared more than once in the same painting. In 1859 Monet moved to Paris. He frequented the Swiss academy in Paris where he copied the great painters. In 1861 he was forced to serve in the Army in Algeria. His Aunt Lecadre agreed to get his dispensation from the service if Monet were to undertake art at university. He left the army, but he did not like the traditionalism of academic painting. Disappointed with the teaching of academic painting at the University, in 1862 he went to study arts with Charles Gleyer in Paris, where he met Camille Pissarro and Gustave Courbet. Together they developed the technique of painting the effect of the lights with quick brushstrokes, what later would be known like Impressionism. Artistic Career – In 1863, helped by his friend, Monet rented a small studio in Paris. In the same year, Monet would enter the Official Painting Hall of Paris: “Estuary of the Seine” and “Bridge over Hève na Vazante”. The following year Monet again exhibited two canvases in the paris of Paris: “Camille” or “The green dress” and “The forest in Fontainebleu”. The screen “The green dress” received great praise from the critics and won a prize in the Paris hall. In “Camille”, Monet portrayed Camille Doncieux, who would become his future wife. In the year 1867, Monet tried to inscribe the work “Women in the Garden” in the Hall, that did not accept it. The screen was so large that he dug a ditch so he could bury the bottom and reach the top of the screen when painting. In the same year, Monet and Camille would have their first child, Jean. In 1868, Monet went into financial difficulties and had a picture inscribed in the Paris Salon, “Ship Leaving the Le Havre Pier”, which received a negative review. In the same year, he received a silver medal at the Le Havre International Maritime Exhibition on the “Le Havre pier”. In 1870, Camille and Monet were married three years after the birth of their first child. In the same year, with the beginning of the Franco-Prussian war, Monet and his family took refuge in London. Back in France, Monet moved to Argenteuil, where he received his Impressionist friends (Édouard Manet, Pierre-Auguste Renoir, Alfred Sisley and others). The city, the river Seine and the beautiful landscapes served as inspiration for numerous paintings by Monet and his friends who could paint outdoors. In 1878, Monet moved to Paris with his family due to the financial crisis. In the same year, his second son, Michel, was born. On holiday with the Hoschédé couple, Monet eventually fell in love with Mr. Hoschédé’s wife, Alice. A year later, Camille Doncieux died of cancer at the age of thirty-two. In 1883, Monet moved to Giverny, Normandy. Monet exchanged correspondence with Alice until the death of her husband in 1891. The following year he and Alice Hoschédé were married. In the decade after his marriage, Monet painted a series of images of the Rouen Cathedral at various times and different points of view. Twenty paintings of the cathedral were exhibited at the gallery Durand-Ruel in 1895. He also made a series of paintings of hay stacks. In 1899, Monet painted in Giverny the famous series of paintings called “Water Lilies”. 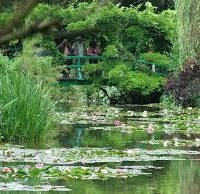 On his property at Giverny, Monet had a lake and a small Japanese bridge that inspired the series of water lilies. These works when they were exhibited were very successful. It was the late recognition of a genius of painting. Monet when painting Water Lilies relied on the lake and the Japanese bridge of his own house in the fall, because it was at this time of year when the flowers fell on the lake creating a beautiful vision in which Monet decided to paint. Monet’s technique for painting pictures was quite peculiar to people and other artists who saw him painting, but the technique of Monet developed at the time was later considered as one of the most beautiful in the world, which is Impressionism, which appears to be close to only blurs, but when distancing the vision, the picture is formed neatly. 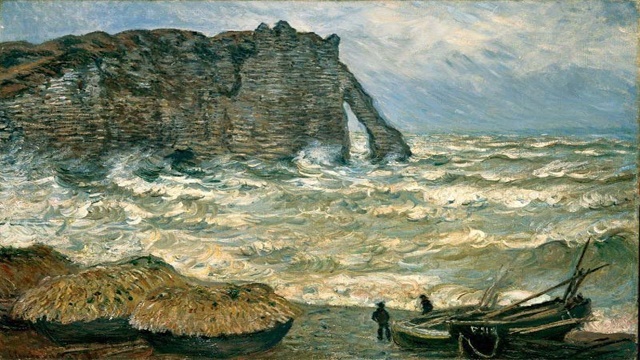 Last years – Monet had a cataract at the end of his life. The disease attacked him because of the many hours with his eyes exposed to the sun, because he liked to paint outdoors at different times of the day and at various times of the year, which was another characteristic of Impressionism. During his illness Monet did not stop painting. He used colors at this time of his life as red-flesh and guava red, brick color among other greens, roses, reds and stronger colors. In 1911, with the passing of Alice and her vision problem, Monet lost some of the will to live and paint. His will would only be animated by the friendship of Georges Clémenceau, who wrote letters of support. Monet died in 1926 and is buried in the cemetery of the church of Giverny, department of Eure, in Upper Normandy, north of France. 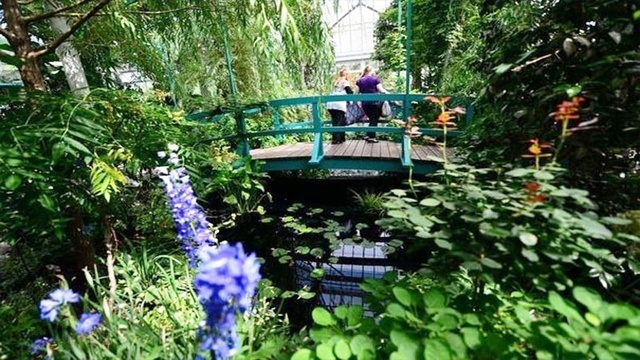 What includes the Giverny Monet Private tour ? I already knew Versailles and the castles of la loire with My Normandy Tour. This times, I wanted to know another place near Paris. We were fascinated with the town of Giverny. The guide showed us the city and also the house of the painter Claude Monet. We talked about various things with Pierre, it was a lot of fun, thank you very much. 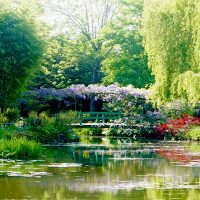 If you wish to breathe and stay away from the Parisian tumult, you have to know the garden of Giverny. 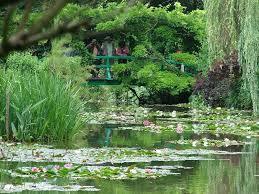 Inspiring place, Giverny was the home of the painter Claude Monet. The Japanese garden is incredible. Thank you Pierre and your company "My Normandy Tour"
I loved so much spending this time talking with you. 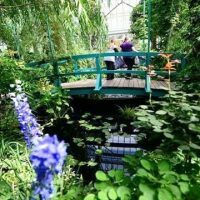 Giverny was one of the best tours during my stay in France. Thanks to "My Normandy Tour"